Our carbon graphite raschig rings are also available in various specifications such as length, rings per tower, absorption surface, kgs of rings per tower and per cent of free gas space. They are chosen after considering their chemical properties such as mechanical strength, resistance to corrosion and capacity. We also offer fabricate the carbon rings to suit the requirements of the clients. 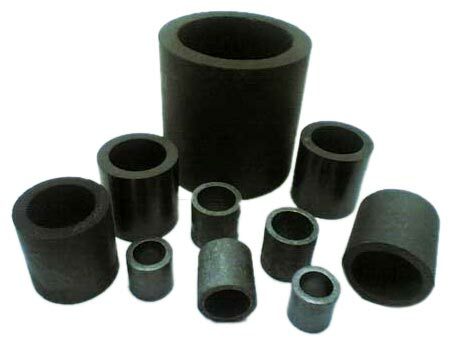 In addition to these, we are among the principal carbon raschig rings manufacturer and graphite raschig rings exporter in India.